What I wore #004 | S J M W E L L - Fashion, Beauty & Lifestyle blog. Say hello to the hat i've been searching for, for months yay. Where i've lost weight the shorts are too big for me so i gave in and wore my new belt, even though i felt extremely squeezed in all day it kept them up thankfully. i've been clearing out my nan&grandads so they can go to a bootsale but being busy is catching up on me and i'm now exhausted, its great because they have thing's from my great-grandparent's and i felt really emotional looking and finding their thing's. I'm actually helping to sell at the bootsale (thats if i can stay awake long enough!) but i must admit i prefer bargain hunting myself so i'm going to have a cheeky search! p.s- remember in July i was invited to xfactor audtion's for my friend's birthday? well X-factor start's tomorrow, let's hope you don't see me because we was on the "floor seating" haha! I'm loving your hat, it's so cute :) Really nice outfit. that hat is brilliant and really suits you. 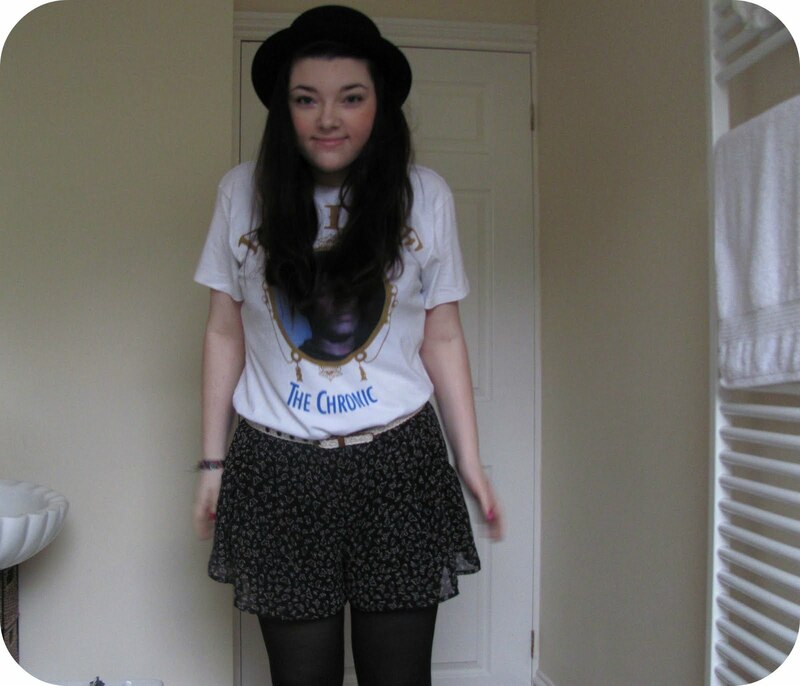 Love the whole outfit, I'm always buying tees from Primark mens, they just have much better ones than ladies I find!